Ten-year-old Frankie Foster loves to fix other people’s problems. The only problem is that her help isn’t always very helpful! 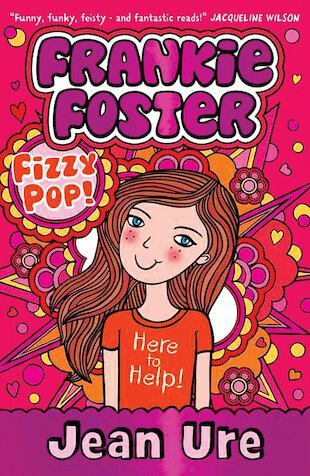 And when she tries to help an adopted friend to find her real mum, will Frankie cause a sticky situation? When Frankie’s best friend, Jem, writes an essay about what it feels like to be adopted, her essay is chosen to be read out at the end of term Speech Day! But it all stirs up some questions for Jem, and she soon starts to wonder about the identity of her biological mum. Needless to say, Frankie jumps at the chance to solve the mystery – and makes it her mission to reunite mother and daughter, whatever the consequences! Is total disaster on the cards? Or will Frankie fix things – eventually? These books were really good once I read the first one I really wanted the read the next 2 they are amazing i recommend these books to you. This is a must read for me! I love the way the book cover stands out. I wonder if the book is as good as it looks? Jean has won several awards, including the Lancashire County Library award for Plague 99 and the Redbridge Children’s Book Award for Bad Alice.